Dwight talks about self-expression and individuality in this extended All Originals clip from adidas. Not only is Dwight Howard an adidas Originals Cornerstone, but he's the cornerstone of the brand's basketball range as well. A wearer of 3-Stripes product since his days at Southwest Atlanta Christian Academy, Dwight is the player that links the old "Brotherhood" group to the current group of adidas Basketball stars, which also includes league MVP Derrick Rose. 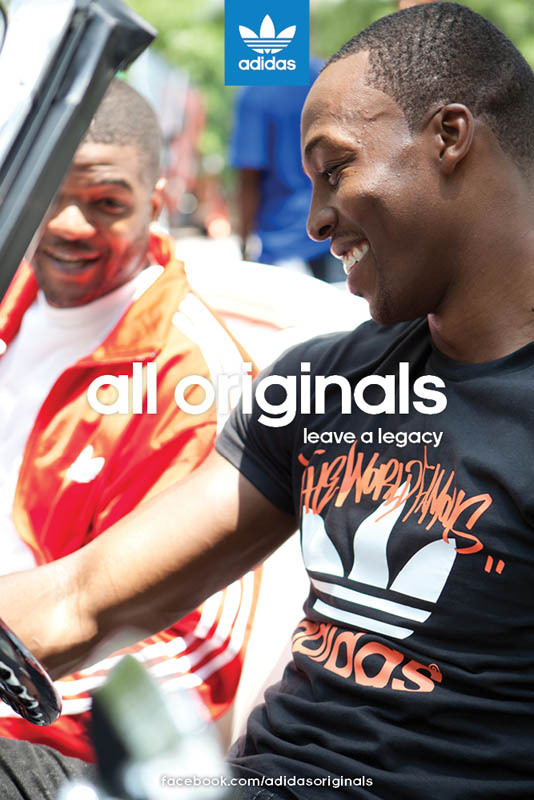 The seven-year relationship between Dwight and adidas has only strengthened over time and that's why the brand is giving you an extended look at Dwight's story for the "All Originals" campaign. Known for regularly wearing a pair of black-on-black Superstars, Dwight adds a little color to his kicks for the "All Originals" campaign, representing the timeless Samoa in this clip. Alongside fellow adidas athlete and good friend Josh Smith of the Atlanta Hawks, Dwight talks about self-expression and individuality. Check out Dwight's adidas Originals Cornerstone video below. Head over to adidas Originals for a closer look at Dwight's adidas Originals Iconics content. Click here for a look at previous adidas Originals Cornerstone videos featuring Jeremy Scott and Snoop Dogg.